You must make reservations at least 5 minutes in advance of the time at Katana on Bay. 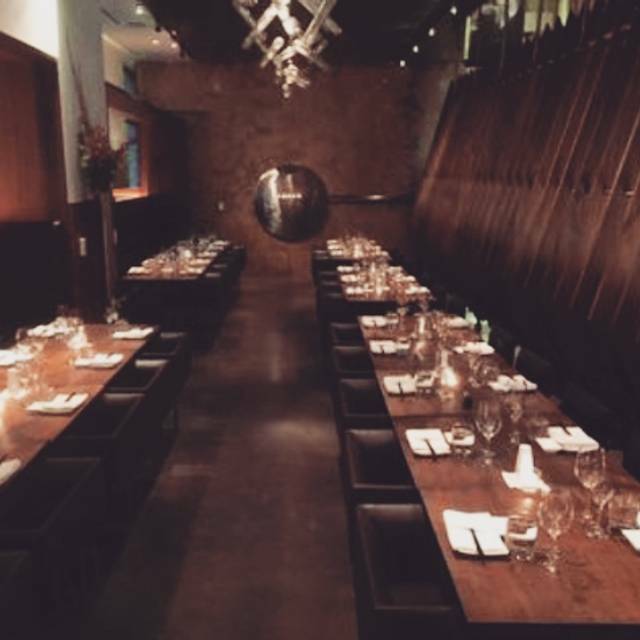 Please contact the restaurant at 416-995-0990 for details on large party reservations and holding private events. Please contact the restaurant at 416-995-0990 for catering details. KATANA ON BAY (KOB), located in the heart of Toronto’s Financial District, features modern Japanese inspired cuisine. Lunch reservations are also available by contacting the restaurant. 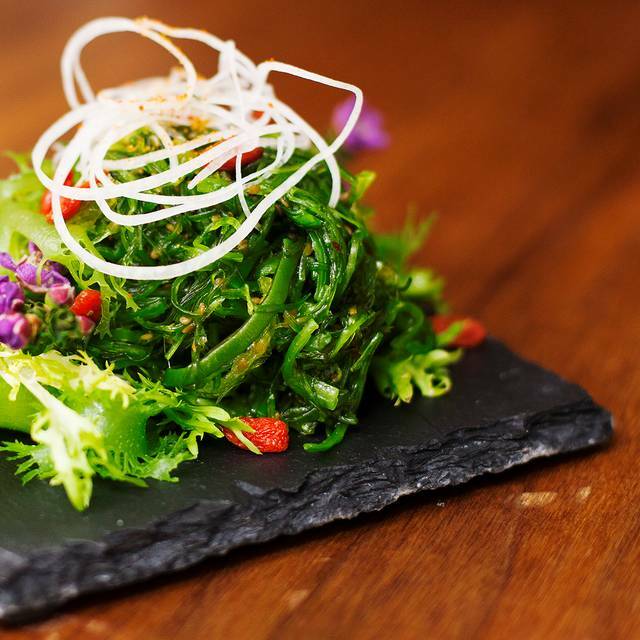 The innovative menu offers a range of sushi and contemporary Asian fusion dishes designed to share. 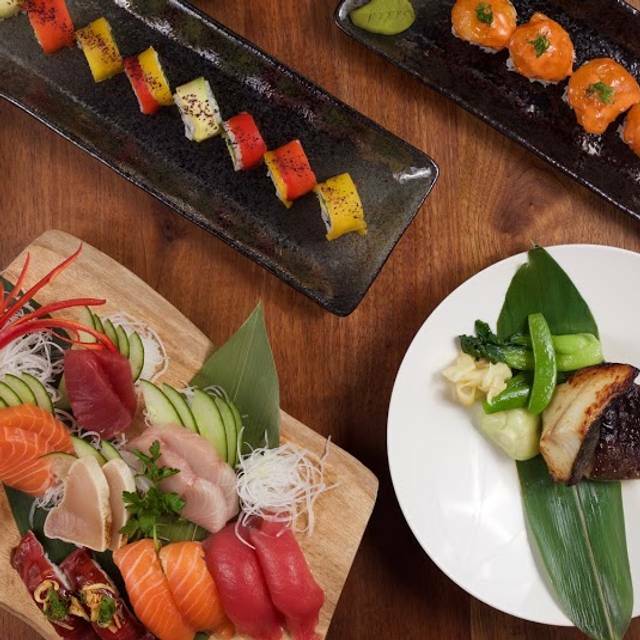 Paired with an extensive sake and wine collection, KOB delivers a fresh and sophisticated dining experience. 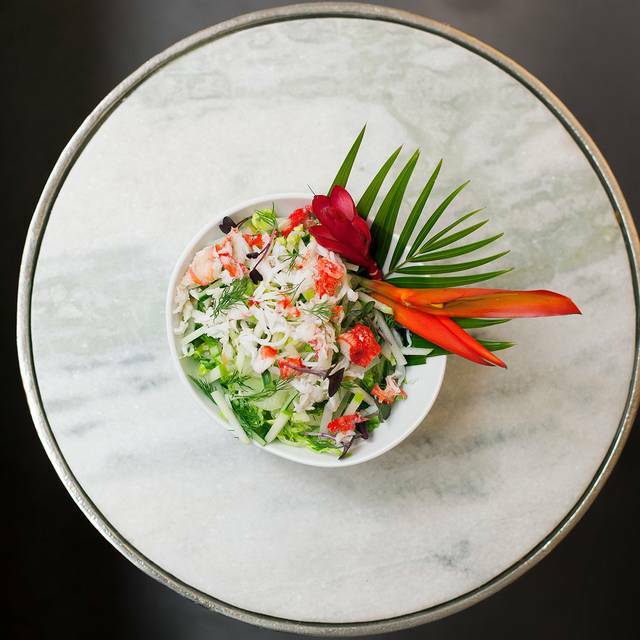 Guests are greeted by a chic ambiance that complements KOB’s savoury, fusion-influenced plates. The entertaining atmosphere of the dining room, bar, and patio fosters both formal and informal gatherings. Open for lunch, dinner, and late-night bar, serving both private and corporate functions, KOB can also satisfy your catering needs. 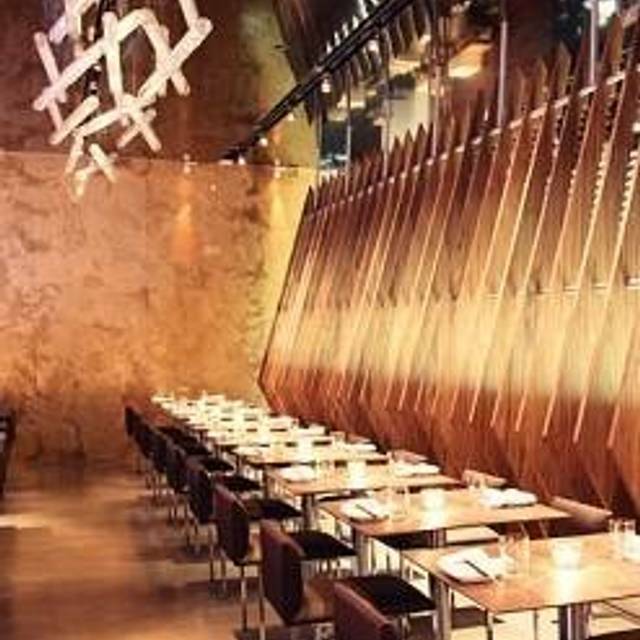 With a friendly and memorable team, experience KATANA ON BAY, where everyone knows your name! This place is ridiculously overpriced for the food and the potion is small. I must say that the food is delicious but will not go back because it’s over price. Excellent food quality. Great atmosphere. Our waitress was very polite and helpful. It was great food but pricey. Decent spot - pricey for the portions you receive. However, service was fantastic and will go back just for that! This was my first visit at this restaurant and will be my last. My experience with Winterlicious has been hit & miss lately and this one was definitely a huge miss. Food was less than mediocre, and service was slow and inattentive. If anyone is looking for a decent Japanese food, walk over a few blocks on Adelaide and go to Nami. Way better experience for the same price. The torched salmon is a must-try! Went for Winterlicious on Friday. I had the jalapeno bites for the appetizer, the braised short ribs for the main, Cinnamon Donut Bites for dessert. All were excellent. I had the braised short ribs at The Bymark the week before, and the ones here were better than the Bymark (although a smaller portion here). I will definitely be coming back. Potatoes with wasabi had none we could taste and “spicy” appetizer bland. Noodles ordered were over sweet. Appetizers small. Couldn’t talk without yelling. Best part of meal was ice cream ( some cool flavours), beef nicely done. Clean, decor ok, service good but nothing special. Overpriced. Last year winterlicious is really good. But this year I am so disappointed. Food was too salty, environment too noisy. Not worth it. Food is only OK. Nothing special. I think the best part of my meal was the Sake Cheesecake. Servers are always with their fake facial motions, especially the one in the reception area, food is horrible, my sushi even not come together, rice was fallen apart when ate. The cheesecake plate was actually warm. NOT Recommend, there are thousands of other sushi places around dt, do go there. Definitely top 3 Japanese and sushi restaurant in the Toronto. 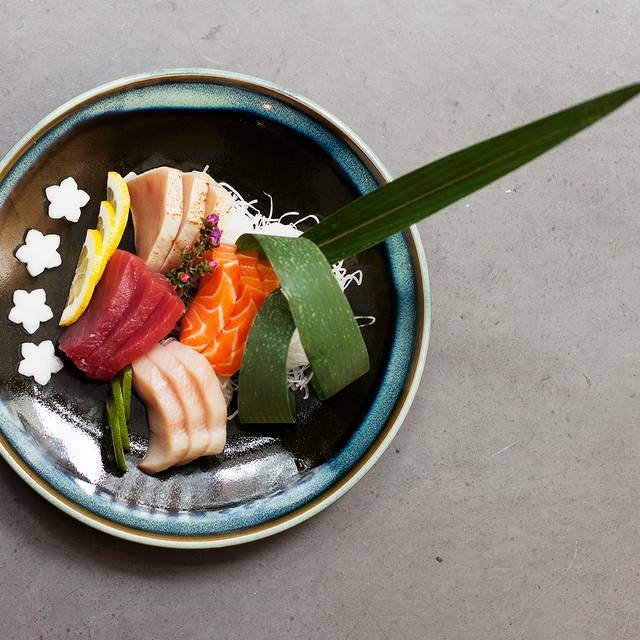 An absolute must try for anyone enjoys finest Japanese cuisine and a modern atmosphere. The really loud nightclub music was so loud and obnoxious-not what I expect or want at a sushi place. Food was okay but will never go back. The rain drove away the crowd, but that just meant we got more attention - and more of the rock shrimp! It was so noisy that it hurt my ears. Food and service were great. Too bad about the noise. Consistent superior Japanese restaurant... one of my favourite spots in Toronto. The Rock Shrimp is fenomenal! Tried tasting menu. It's not so Japanese but fusion. It's good but didn't get a chance to try sake cheesecake. It should've been on the menu but they sold out too early for the day. Kinda disappointed. Great Summerlicious lunch experience. The assorted makimono was excellent, as was the sake cheesecake. The staff was friendly and quick! Excellent service w/ delicious food. Food was great. Service was slow but attentive. Food was delicious but beware portion sizes are very small. Expensive for the quantity. Overall the dinner was enjoyable. There was not really anything Japanese about the restaurant (or their food) except the name Katana, although that may just be reflected in their summerlicious menu and not their actual menu. We went to this restaurant for Summerlicious 2018. The Summerlicious menu was not on the table and the waitress took 10 minutes to bring it to the table and then 10 more minutes to take our order. It was passed the regular business lunch time and the place was not crowded. The food was excellent, but the service was not good. Very disappointed. Went here for summerlicious because I had heard great reviews. On the contrary, portions were so small! The Japanese fried chicken was the equivalent to KFCs popcorn chicken... all 6 pieces. Sushi was mediocre, presentation lacking... overall restaurant ambience needs lots of improvement. Tables and chairs need an upgrade, resembles cafeteria style tables. However service was great! Very friendly. We had great service and good suggestions from our waitress. We tried the calamari, tuna tacos and spring rolls as appetizers. We tried several different rolls for dinner and they were delicious. A little wary when we entered on a Saturday evening to find the place almost empty; however, were very pleasantly surprised with the delicious food. The Makimono set was not like any "sushi"I have had before eg. rock shrimp. My husband found it a little odd to have short ribs and mashed potatoes as that didn't seem very Japanese, but it was very tasty. The mochi ice cream dessert trio was a a real treat. Will definitely have to return to try out the other rolls! good drinks. great service from the bartender (Elizabeth). We had a great time. The food was well presented and delicious, I liked everything I tried (there was a nice variety). The recommendations from the waitress were spot on. I will definitely be returning ! It was completely dead on Saturday night. Not sure I’d go back. Didn’t have the busy fun Saturday night feeling we were looking for. But great if you’re looking to have a very quiet meal. Food was good. the sushi and calamari were amazing! we went at 6:30 on a saturday and it was pretty empty so it felt extremely nice and exclusive. Beautiful restaurant also! Good food, but the service was subpar - cool welcome from the hostess(es), waitress took a while until first coming to the table and never followed up once the food was served, nor did she give her thanks (or a good bye) when leaving. Overall...unappreciated and unwhelmed.